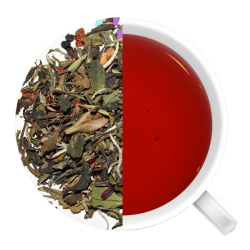 This amazing tea combines white tea with several fruits and then tops it off with natural pomegranate flavour - pom-azing! 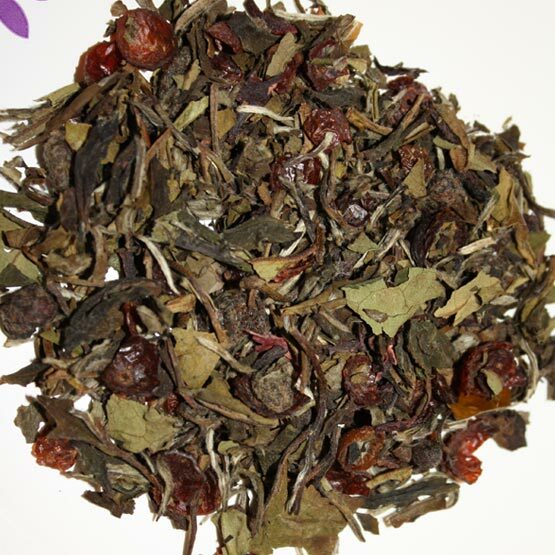 White tea is harvested only a few days every year and has the highest antioxidant level of all teas. This amazing tea combines white tea with several fruits and then tops it off with natural pomegranate flavour - pom-azing! 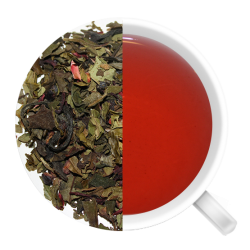 White tea is harvested only a few days every year and has the highest antioxidant level of all teas. As documented by the Health Sciences Institute, schizandra berries help to raise your body’s level of the enzyme glutathionl which helps detoxify the body and in turn, improve mental clarity. 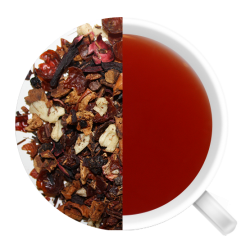 Hibiscus, also found in this tea, is dais to reduce blood pressure and cholesterol. What an amazing - I mean pom-azing combination!